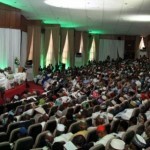 Delegates at the ongoing National Conference in Abuja have recommended to President Goodluck Jonathan to declare a state of emergency in the power sector. The recommendation was made while adopting the report of the conference committee on Energy. The conference similraly recommended that Federal Government should not leave power and energy to private sectors as both were strategic to the industrial take-off and wellbeing of the people. Instead, it recommended a top-down approach through the amendment of existing framework to allow government at all levels and the private sector to be involved in power generation, transmission, distribution and marketing locally. 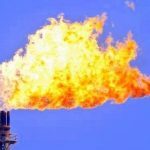 In a related development, the conference adopted the ban on flaring of associated gas, while communities that are prone to gas flaring should be compensated. 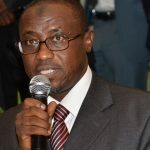 News Agency of Nigeria (NAN) indicated that the conference also recommended that the Petroleum Act of 1969 be reviewed in the interest of justice and equity. 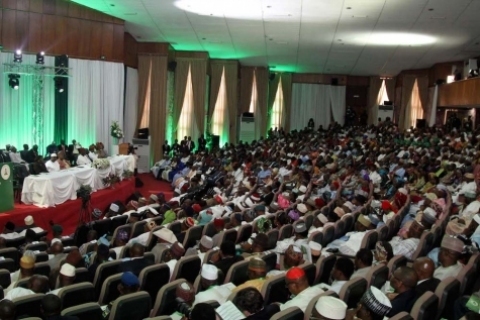 In the same vein, the conference recommended that government policies should encourage the use of low energy light bulbs and modern clean stove for cooking “as both are environmentally friendly” while associated gas produced in Nigeria should be reserved for domestic market until all demands were satisfied and a pricing regime for gas developed to make this possible was available. It recommended that laws should be enacted and those available should be enforced at the state and local government levels to control indiscriminate cutting of trees for household energy, charcoal making and export.